Looking for great resources for summer reading and summer learning? In this post we round up programs and resources from Granite School District, our friends at the Salt Lake County Library and Salt Lake City Public Library systems, and other resources from the web in general. 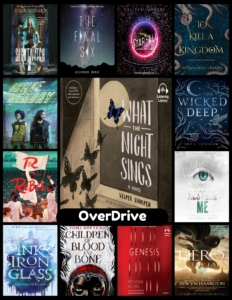 All K-12 students in Granite School District (as well as all staff members) have access to Granite’s OverDrive Digital Library, where they can choose from thousands of ebooks and digital audiobooks to read or listen to throughout the summer. For more information and help with Granite’s OverDrive, please see this post or download these more detailed instructions. 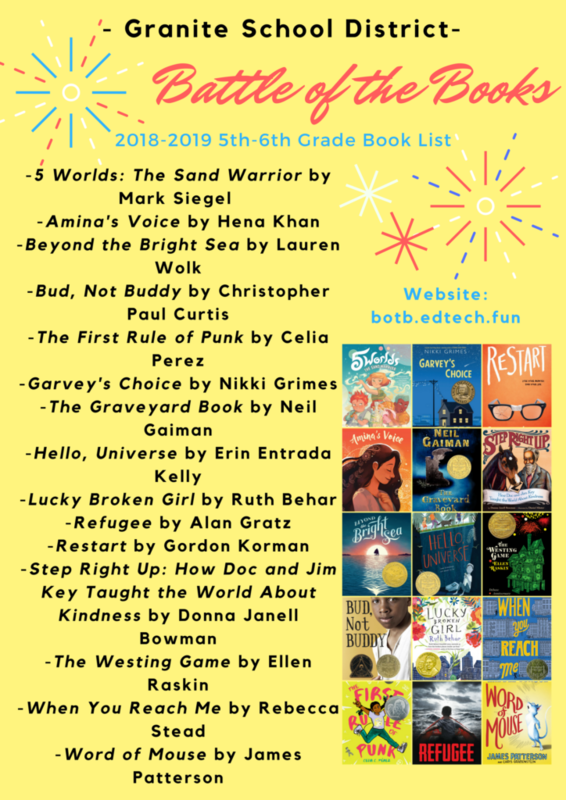 If you or your students need ideas for your next read, try the books found among the 2019 Beehive Book Award Nominees, the 2018 Youth Media Awards Winners, or the 2019 Granite Elementary Battle of the Books Lists. Our friends at the Salt Lake County Library are offering the Libraries Rock! 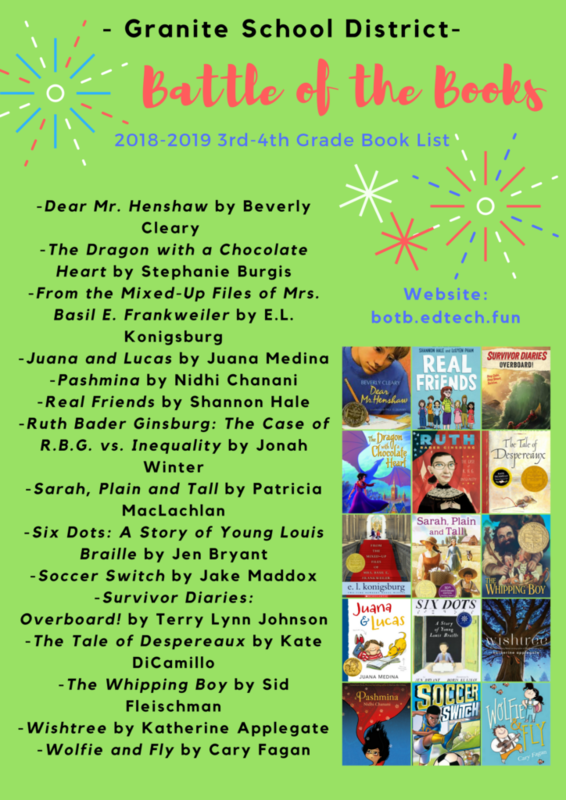 summer reading challenge June-August 2018. In addition to reading and activity challenges geared specifically to kids, teens, adults, and prereaders, they also have activities and events scheduled almost daily at different branches, including a series of Summer STEM Camps. Salt Lake County Library branches are also the place to pick up a ZAP Kids Summer Passport, which provides young people with free or discounted access to a wide range of museums, cultural activities, and festivals happening throughout Salt Lake County all summer long. Visit or contact your local branch of the county library system to pick up reading challenge materials and summer passports, check out books and other media, and find out more information about their summer programs and resources. 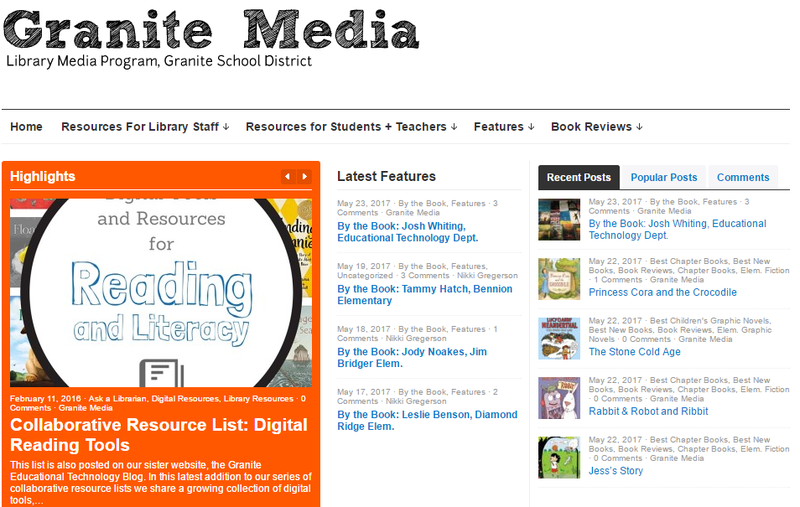 Our sister site Granitemedia.org will continue to post book reviews and recommendations from Granite library media staff, teachers, and students throughout the summer. Follow the site for ideas on what to read next. Also feel free to share with the community when you read a new book by submitting a review. The site is known to send prizes to students, teachers, or staff members who share great book reviews. We will also post more summer learning and reading ideas and resources here on the #GSDEdTech Blog throughout the summer, so be sure to follow us on Twitter, Facebook, or Pinterest to keep up with the latest news and resources. Several school libraries in Granite School District open their doors periodically during the summer for book checkout and other programming. Contact your school to find out if they offer this service. If you live in the Northern part of our district or otherwise feel like taking a field trip into the capital city, check out the Salt Lake City Public Library’s summer reading program, Strike a Chord. They have great activities and events at all their branches all summer. As a resident of Salt Lake County you can obtain a free library card for their system as well. 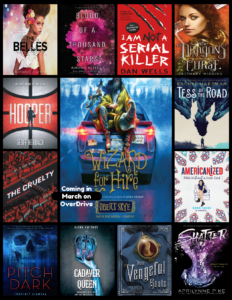 You can download and listen to the free YA audiobooks provided weekly by Audiobooksync.com all summer long. Through the Read and Win at the Utah State Fair program, kids ages 6-12 who read 10 books this summer can obtain 1 free daily admission to the Utah State Fair, including a carnival ride and a drink. This page will be updated throughout Summer 2018 as more events and opportunities present themselves. Please don’t hesitate to add your own suggestions in a comment below, as well as via Twitter, Facebook, or Pinterest. 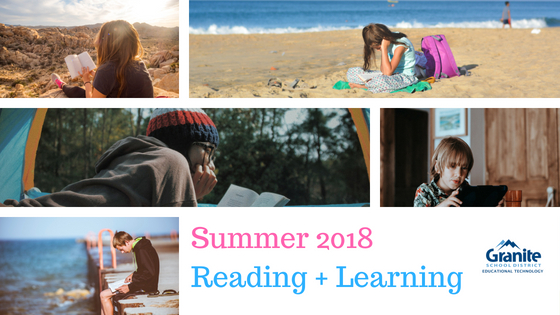 Summer 2018 Reading + Learning photos by Michael Liao, Lê Tân, Ben White, Jyotirmoy Gupta, and Annie Spratt on Unsplash.